Nationality: British. Born: Cliftonville, Kent, 29 September 1916. Education: Attended Clifton College, Bristol; Royal Academy of Dramatic Art, London. Military Service: Served in the Royal Artillery in Norway and Sicily, 1940–43; invalided out. Family: Married the actress Helen Cherry, 1944. Career: 1934—stage debut in Revolt in a Reformatory ; then played in repertory; 1938—in West End production of French without Tears ; 1944—film debut in The Way Ahead ; 1960—began series of plays and movies for TV. Awards: Best British Actor, British Academy, for The Key , 1958. Died: In Bushey, Hertfordshire, 7 January 1988. Knight, Vivienne, Trevor Howard: A Gentleman and a Player , London, 1986. Munn, Michael, Trevor Howard: The Man and His Films , London, 1989. Conrad, D., "Living Down a Classic," in Films and Filming (London), May 1958. Whitehall, R., "Trevor Howard," in Films and Filming (London), February 1961. Obituary, in Variety (New York), 13 January 1988. Baxter, Brian, obituary, in Films and Filming (London), March 1988. Slide, A., "The Slide Area Film Book Notes," in Classic Images (Muscatine), February 1991. Trevor Howard has the clearly enunciated speech of the English gentleman, and in his youth possessed the modest good looks and unassuming manners that qualified him for stage training at the Royal Academy of Dramatic Art. When World War II started he was still in his early twenties, and had had little time to make a mark. After service in the Royal Artillery, he was invalided out, and began to show his high qualities as an actor in repertory at the Arts Theatre in London, while at the same time appearing in uniform in such excellent war films as Carol Reed's The Way Ahead and Anthony Asquith's The Way to the Stars . His lengthy roster of British film appearances (usually in starring or top supporting roles) began after his outstanding success as the quiet, sincere small-town doctor, a married man, who falls in love with Celia Johnson's guilt-stricken housewife and mother in Noël Coward's and David Lean's Brief Encounter , a film that attracted exceptional critical attention and made a lasting reputation for its authenticity in the wake of the key British war films of 1944–45 that had consolidated the realist style. It matched exactly the quieter, more unassuming characteristics of the middle-class English lifestyle, which could nonetheless be revealed through the intimacy of film to be fraught with hidden emotional disturbances. Moving beyond the efficient, somewhat withdrawn but selflessly loyal English army officer—seen, for example in The Third Man , Odette , and Cockleshell Heroes —Howard gradually enlarged his screen image to embrace the civilian, quietly romantic hero typical of the kind of man many Englishwomen (and others) hoped to meet and marry, the hero of such films as Lean's The Passionate Friends and George More O'Ferrall's The Heart of the Matter . To some audiences, this image of the sincere, good-looking, unassuming but often deeply emotional Englishman could appear to lack dash, even to be dull and unenterprising, except that Howard's intuitive control over the nuances of feeling made these performances dramatically powerful. 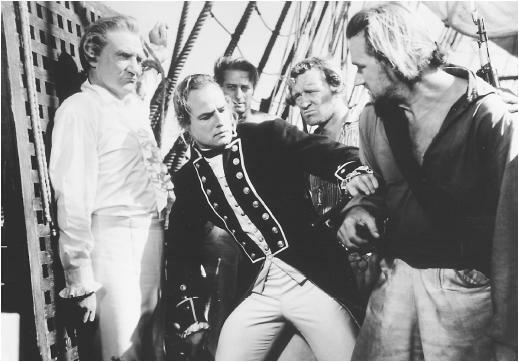 At the same time, with gathering age and experience, he began even as early as Reed's Outcast of the Islands to enlarge his range still further and establish a reputation as a character actor. By the time of Sons and Lovers he was playing the miner Walter Morel, morose and difficult in his impoverished, working-class home, to such good effect that he was nominated for an Oscar. He also began to appear in American and Continental as well as British films. By the 1960s and 1970s, his character range included such fine performances as the corseted, lecherous Lord Cardigan in The Charge of the Light Brigade , the toughly independent priest in Lean's Ryan's Daughter , Pope Leo in Pope Joan , Richard Wagner in the Italian production of Ludwig , and his effectively moving Dr. Rank in Joseph Losey's version of A Doll's House . He was ceaselessly employed in films for over 40 years, and remained a very favorite actor, especially in the eyes of the British public.